c) uses its position in government to create high quality urban developments in such areas as urban design, sustainability and affordability. Urban Growth NSW has engaged Swell Architects on several occasions to assist it to analyze land parcels for high density urban development. 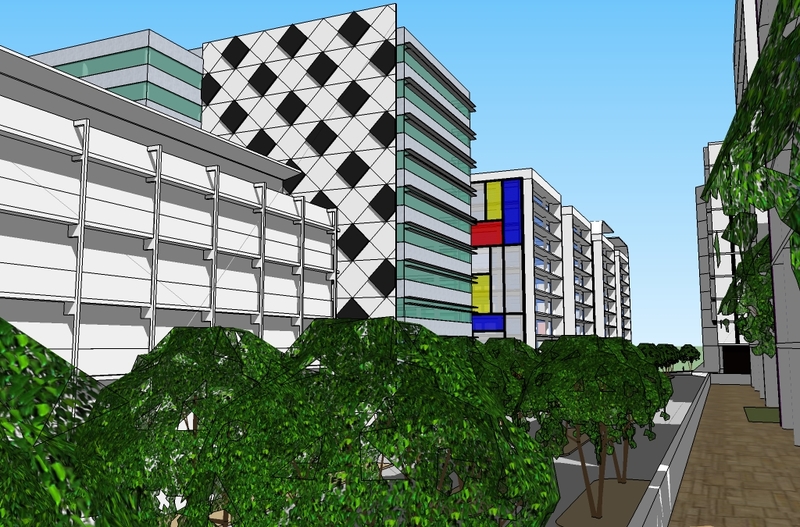 The developments may be residential, commercial or a mix of uses dependent on the location and market needs. These sites may be “green” or “brown field” in suburban or urban locations. The land may be owned by the state or by local councils. UGNSW facilitates the development of comprehensive masterplans for use by the state or council body to achieve sound economic results. 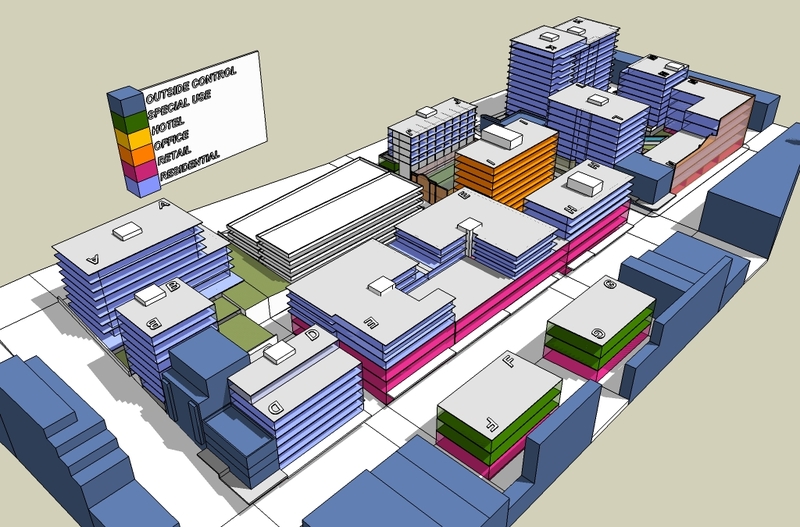 This process involves brainstorming ideas with the development managers of UGNSW, followed by concept planning by Swell Architects and resulting in measurable CAD drawn outcomes together with 3D studies as part of the project deliverables to understand bulk and scale as well as ensuring overshadowing and streetscape are acceptable. The study shown here is in a suburban location where commercial uses are required as part of the brief. Residential options were also masterplanned to test assumptions about the site and market takeup. The process took over 6 weeks with a variety of development scenarios being tested in 2D and 3D studies. 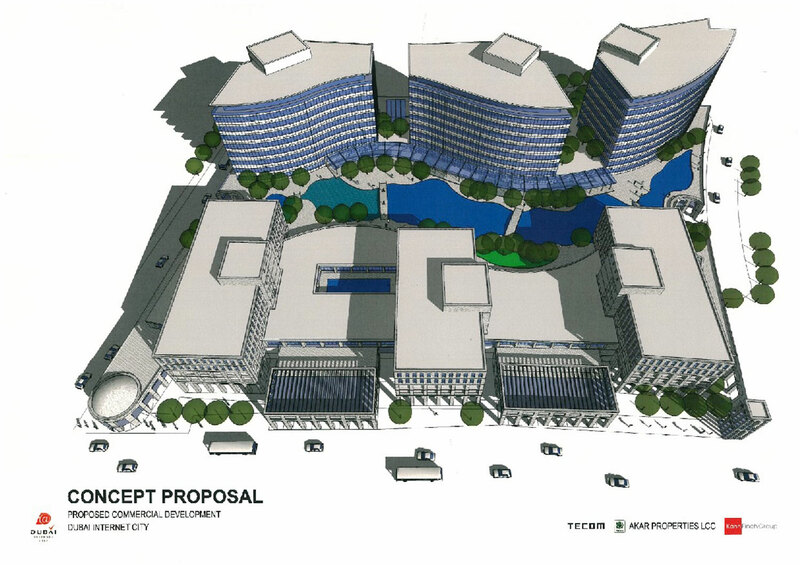 This enabled UGNSW to make strategic decisions regarding the viability of development in this location.